The King of the Auob drinks alone. 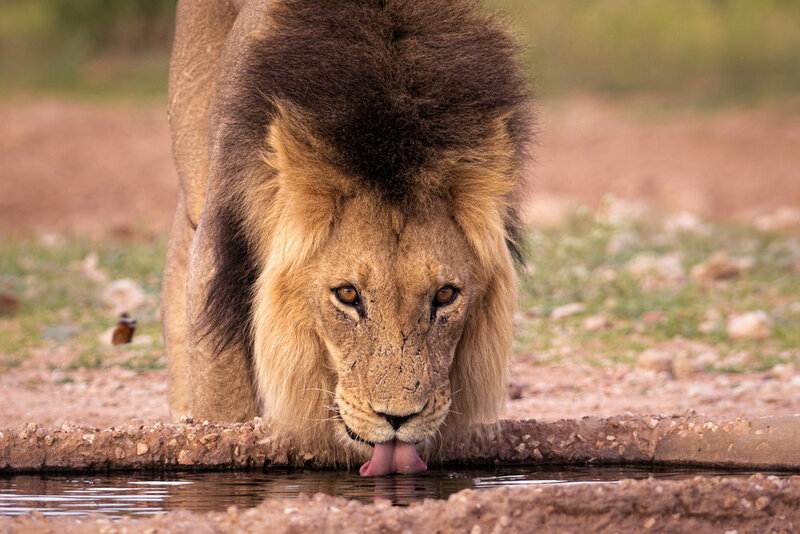 Click to enlarge - Thirsty Male Lion, Kgalagadi Transfrontier Park, South Africa. I photographed this king of the Auob late on a hot and stormy afternoon. During the day, lions like to rest, out of the sun if possible. As the overcast drew in from the east, the sun sank low in the west and the oppressive thick heat grew less; the king stirred. He yawned and rolled onto his back before standing and stretching languorously. One back leg at a time. 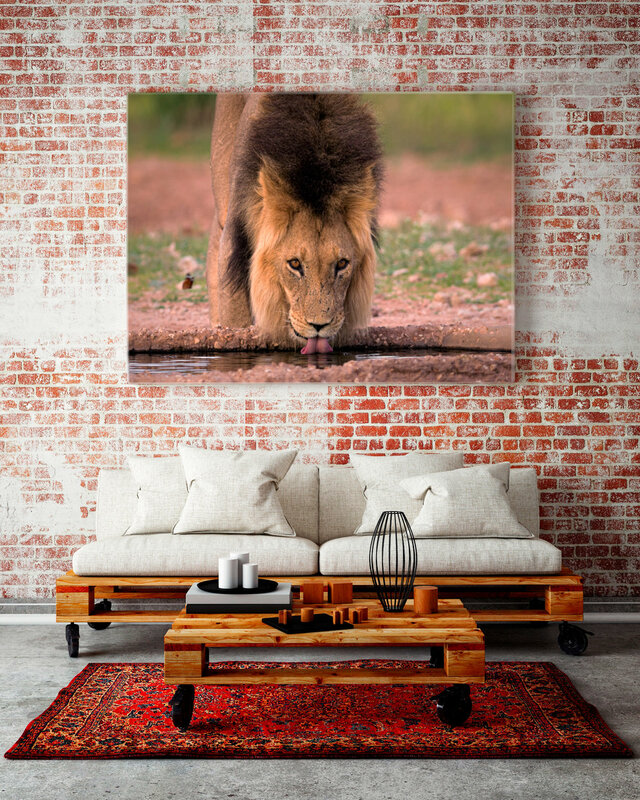 The king wandered the short distance to the water-hole and as he drank he looked at me with his beautiful brown eyes.